I really want to see him in a drama. I think I understand his choice. If I just got out of the military, would I want to be in a drama that I'm obligated to for more than a year or do I want to do a movie that probably won't take up most of my time. obsession subject to change without warning. I've just had a look at the Marie Claire photos. I absolutely love how he wears his hair in the first photo (he's seated in profile, wearing a puffy green jacket). I'm pretty sure this style has a historical basis - maybe someone can enlighten me. I am such a HUGE fan of long hair on men of asian background. I wish more would wear it. Last edited by Ethlenn on Oct 24th, '12, 08:28, edited 1 time in total. I tried but failed to bring up this program when she was talking to Kim Sung Woo. On the Insight show. He is one of my early hearthrobs. Rock singer, actor, sculptor and very handsome man.Loved him in drama 'Man in Crisis' Drama also had beautiful OST. The one lovely song was sung by Kim Dong Wook (JK) the Canadian/Korean singer. gorgeous voice. There are a few actors with name Kim Seung Woo. Last edited by Peggy on Feb 5th, '13, 09:16, edited 1 time in total. 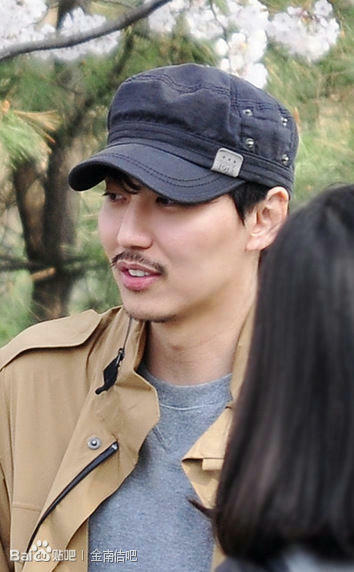 After Kim Nam Gil finished serving for his country, he made his first appearance on tvN “Baek Ji Yeon’s People Inside.” However, the actor did not make a comeback as the Kim Nam Gil actor. He came back as the producer of “Ensemble.” He told that he was invited to Busan International Film festival. Also, he received an invitation from Jecheon International Music & Film Festival. Oh well, we know he admires JJY (who doesn't??) but LBH shouldn't be the case of his insomnia anyway. I didn't realise LBH was much older than KNG but I suppose he is. Lots more under his belt. the funny thing is that last night I watched a WinWin episode and they were interviewing a very senior actor. I think his name is Park Byungheong but forgive spelling. Anyway he was also saying that he thought LBY was a very good actor among his younger choices. I thought about this and I realise that LBY has really been looked at for his face which is more good looking than some, and his talent may have been missed. He has played many roles of all kinds not just the handsome hero so I guess he is talented. I am going to watch his latest dual role which is coming up on TV fairly soon I think. It is historical so will be interesting and he plays the king and a beggar who look like twins. The senior actor was also not impressed by the young "stars" who are now so often given roles in dramas. He said you know that real actors young or old will always listen to the director and pay attention to the staff and be polite to their seniors. That was the way it was in my younger days. Now they sit in their cars with their own attendants and have to be called for a scene and then they stop and say 'Oh wait I have to get into the character' and go off to the side.. This is because they have to cry in a scene or look sad. then they go back to their cars again and never discuss the drama or scene. Incredible.! Mr.Park was not impressed with idols. I seem to remember another senior who was not very complimentary about young actors a few months ago in this show. Mr. Park was lately in "Panda and hedgehog" drama as a grumpy grandpa and he was hilarious there. I admit LBH is a good actor, he really is. It's just his off-screen LBH I barely can stand. I like to watch movies with him, because he always gives strong performances but not interviews etc. JJY, on the other hand, I admire wholesomely (is this a word? ), fully, without exception, on stage, off stage, every single word he says and every little detail of his roles. In a general I agree about the young actors, especially idol ones, but there are some who can act, who can immerse themselves in a role. I agree that there are some young actors who really have the imagination to enter into the character they have in hand. They still have the child within them and nothing to give them a hang up. I got the feeling that Mr.Park had someone specific in mind when he spoke. re LBH I always had the thought that he got a bad rap from one of his leading ladies. I think she used him to get ahead with career, and then after publicity, she had no good words for him. Don't know where she is now , but not with the next actor she was with for a time. The world turns. So he's back to his Bad Guy look... and appearing on TV show. ;- ;- ;- Eureka ! Gorgeous. without knowing a word I was mesmerised. There is such a potent charm that you are drawn into his warmth. He must be an ideal person for any interviewer because he does not give any impression of not wanting to talk, and gives all he can to the discussion. I don't know who she is but I liked her attitude and she did not put herself boldly and she let him talk. What a wonderful location, which seemed just the one for him. I am delighted to have this and will return to it. Thank you so much for finding and sharing. Oh, I was ready to pull it back and seed. Glad you got that, one nice interview. Actually that situation is so unusual and I can easily bring up the whole picture and visualize him and where they are and imagine the perfect day. I am so curious how they got that grand piano there. I mean the logistics seem OK for a human to walk but that's a heavy grand to haul. Got a feeling that my recent jokes are not making you smile. don't know how it looks to you but my mind agewise stretches way out there. sometimes it's a curse I think. Don't want to make you cringe ever. I just have lots on my hands and have no time to reply sometimes!! You always make me smile, my dear!! I will repent, I promise! Sigh of relief. Waves now calm and smooth sailing. don't know how you do what you do in just one lifetimes anyway. I still admire your tremendous output around here. BTW. Some new pictures of Walking Perfection are here. Well I know I wrote a reply and even gave you a classic song for the Man. However it has vanished apparently. Not here today. I swear I did not say anything risque. Song was I'm in the Mood for Love. Great melody and perfect lyrics. A tsunami of melted feminine emotions at his feet. I'd be there. And even thousands of kilometres away from his feet. I have nothing important to write, only that there will be released a photobook and DVD from his Japan fanmeetings. BTW... weird I didn't mention here his song for That Winter We Doze Off drama... weird. Actor Kim Nam-Gil and actress Son Ye-Jin have been offered the leading roles in new KBS2 drama series SHARK (literal title of "Sangeo"). Although they have yet to accept the offer, they are currently "highly considering" the offer. Storyline for SHARK involves a man who loves woman, but loses his father to the woman's family. The woman's family then attempts a plot to kill the man. The man then changes his face and hides his identity. He then seeks out revenge on the woman's family, but he is also torn by his feelings for the woman.SHARK will air beginning this May on Mondays and Tuesdays at 10pm, taking over the same time slot from KBS2 drama series "The Queen of Office". Oh man, what a horrible plot. Bad Guy had revenge too. Here it says is confirmed. Is it? Came home from work today. 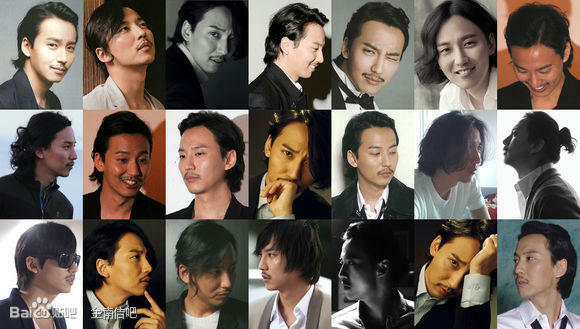 Read this article about Kim Nam Gil being in a possible "Bad Guy 2" drama. Lay down and took a power nap and had a rather gross dream involving Kim Nam Gil. The short censored version: "About 'spitting out' teeth'"
I felt sorry for the poor guy, having ruined his shirt. Have had similar dreams before, maybe I'm grinding teeth when sleeping. I will believe when I see script reading pics. But damn, why it has to be such a boring plot? He'll be awesome, I'm sure, but we'll run out of coffee. Oh, Keiko, you read maybe too much of Poe, darling? Ethlenn wrote: I will believe when I see script reading pics. No, I haven't read Poe in a long while. Many years ago when I was in school we read The Black Cat. Get a copy of "Berenice". Teeth will never look the same after that. Ethlenn wrote: Get a copy of "Berenice". Teeth will never look the same after that. Think I will check it out. It was really time to see him acting in something NEW! These three people are in charge of CF's for SamSung's Smartphone Gallaxy S4 --in order. They are to make the CF's as if making short films with rich emotions. SamSung has been working on this project in secret with these actors to plan for CF series. Besides the 3 people, it appears that SamSung also offered the challenge to other very talented actors with directing abilities. All three are expected to create much stir and news with their projects. JWS has directed a cable channel XTM cf last year. GHS has been very active in many areas so far. KNG participated in the making/producing of the classic movie, "Ensemble" last year. He is displaying passion in many different areas. This weekend, JWS will start as its first director for the Samsung series. JWS filmed a movie, "Surveillance"(temporary title) and is getting ready for his next project. GHS recently authored a song which she presented as a gift to SIG and also has made a MV with SIG. KNG will soon appear in a new KBS drama "SangUH--Shark?". Thank you and good morning dear! The first and fourth picture! Yes...well ? I know you are hiding more treasures. Pretty please Ethlenn. It's time to begin and count the hours, minutes and seconds before the show begins. Any more right now would be almost a superfluous redundancy. I am near to being surfeited. He is beautiful to look at. Cameras love him. I had my share of fainting while watching some of those pictures, yes, I understand perfectly your feelings. However, I feel this drama will be slightly boring. Unless it goes Mawang (The Devil) path as the writers claim it will. Despite some negative comments, I enjoyed this drama tremendously (no, not only because of Jihun, although I cried my eyes out for him there). Well I have been getting a feeling that dramas have to be weightier to be given a gold star lately. Light and fluffy has to be with the young idols I think. The more mature actors, expecially if they are back from military service, have to be very careful to get a role that shows they have gained something more in their persona than just being romantic. Last edited by Peggy on May 24th, '13, 02:02, edited 1 time in total. Aaahhh...Mind you I will accept Nam Gil being romantic, and also I don't mind at all if LDW turns on the charm; I'm not hard to please. I have not seen a thread for Queen Insoo anywhere. I am still watching and it just gets more and more enveloping, if that is a word to be used here. I know I am engrossed. It struck me today that this drama is almost entirely set in the palace areas. The actuall interiors are really superb and the costumes are truly gorgeous. There are no battle scenes and no mad chases but this story is exciting even when most of it takes place in rooms and people sitting down and talking. Nothing is slow and I still don't know the language. I hope someday there will be a DVD with subs or at least one of the sites will put it up with subs. Definitely one of the greater historical drama I have seen along with Soldier. Now there was a drama with lots of battles. Come to think of it I would not mind seeing Nam Gil in an historical drama again. One that is true to history would be good. 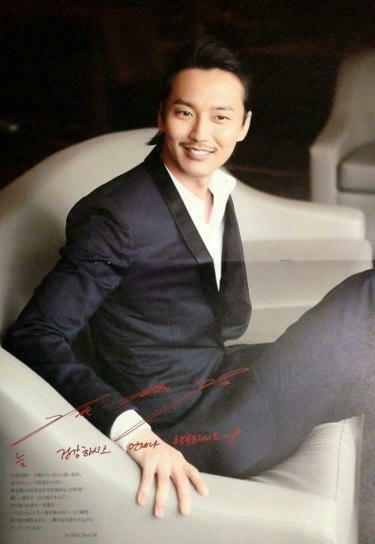 Peggy wrote: Come to think of it I would not mind seeing Nam Gil in an historical drama again. One that is true to history would be good. That would have to be a cable drama, cause main 3 like to juggle with history a bit too much to my liking. Less than 24 hours to Shark. For some reason I can't get into this drama. I can't even finish the first episode and I really like the young actor who is playing the lead. I just saw him in 'Happy ending' and he is such a good actor. This drama is not grabbing my interest at all. I even managed to reach the appearance of Kim Nam Gil. I think I just want to see something that is happier and not always gloomy faces and bad tempers. Peggy wrote: For some reason I can't get into this drama. I can't even finish the first episode and I really like the young actor who is playing the lead. I just saw him in 'Happy ending' and he is such a good actor. This drama is not grabbing my interest at all. The finest actor can only do so much wih a bad vehicle. He is always so good in an interview when he is not restrained by a script. I just can't understand what is happening with KNG in this drama. Is he not acting on purpose? The tale is being drawn out interminably and he just eases in and out of a darkly lit scene and sometimes does not even have any dialogue. Lots of shots of his shoes. Filming is set to commence in early August for movie PIRATE (literal title of "Haejuk") with actor Kim Nam-Gil and actress Son Ye-Jin cast in the lead roles. Both actors are currently starring together in KBS2 drama series "Don't Look Back: The Legend of Orpheus" (literal title "Shark"). Once the filming for "Don't Look Back: The Legend of Orpheus" finishes around July 30th, 2013, the two leads will have a few days of rest before taking on their new project. Movie PIRATE will be directed by Lee Suk-Hoon ("Dancing Queen"/"Two Faces of My Girlfriend"). In the film PIRATE, Kim Nam-Gil will portray an easygoing bandit and Son Ye-Jin will portray a cool-headed pirate (!!!). When does Bidam first appear in Queen Seondeok? If I remember well, it is in episode 21. Yes and after that Bidam was the only flame that burned brightly enough to keep this drama running. It was unfortunate that Nam Gil played the role with so much outstanding effect that after he was eliminated the tdrama ended rather quickly. Not a favourite role with Nam Gil at all. He hates being reminded and being called Bidam. Must admit he will have to work quite some time to make that character fade. He is not doing so well with his latest drama in my mind. Dull and dismal story and very poor scenes without much lighting. Last edited by Peggy on Aug 7th, '13, 19:56, edited 1 time in total. 99% of fangirls still can't get over Bidam. Plus, last 10 eps were just a waste of time and actors. Yes, looks like it's a franchise movie afterall. Eh... Maybe the characters here will be alive and not walking zombies. It seems it was the right thing to do to drop Shark after just one episode, despite how much I like KNG. This said, I loved QSD and Bidam (even if not as much as I loved Mishil and her perfect management of her personal harem of guys, we have a lot to learn from her!). I loved Mishil. what happened to the actress who played the role? Last edited by KNG-fan on Jan 26th, '14, 22:01, edited 1 time in total.